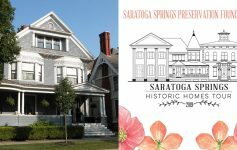 Saratoga Springs is known for its dog friendly downtown, but most of our feline friends do not enjoy strolling down Broadway on a leash, or staying by our side on an outdoor patio. Soon, however, you’ll have cute kittens to chill with while sipping your Matcha tea. We’re talking about a cat cafe, and if you haven’t heard the news, downtown Saratoga is about to welcome its first one this year! Whether you like cuddly cats, grumpy cats, calico cats, or even Cheshire cats, the upcoming Spa City Catfe will have a whole family of felines waiting to greet you. For anyone unfamiliar with cat cafes, these are special cat-themed establishments that originated in Asia and are most popular in Japan. Life can be stressful and tiring, so cat cafes were designed as places where people could relax with furry animals and get their catfeine fix too. Since 1998, cat cafes have moved beyond Asia and popped up in parts of Europe and North America. Here in the U.S., many of them feature rescue cats and kittens available for adoption. Visitors can mingle with the cats, get to know them, and maybe even provide one with a forever home. Spa City Catfe is the brainchild of 28-year-old Saratoga resident Ellie Abernathy, a former barista turned entrepreneur. Abernathy grew up in the area, and she noticed that while there were dog friendly restaurant patios and shops in Saratoga, cats had little. To fix this, she decided it was time the Spa City had its own cat cafe, and has been working with local investors/partners to turn this business into a reality. Although a specific date hasn’t been set, Spa City Catfe is expected to open this year in downtown ‘Toga, and it will offer freshly-roasted coffee, teas, and specialty drinks, such as Tale Of The Cat Lattes and Caroline Street Catpuccinos. The drinks and food will be prepared and served in a separate part of the cat cafe, but customers can enjoy their purchases in the main lounge where they can relax amid the cats. During the opening months, the cats will all be adoptable rescues. However, depending on the public’s response, the space may become available to rent for cat parties and events where you can bring your own. More details about Spa City Catfe are expected soon as Abernathy begins to finalize the project. Stay tuned! 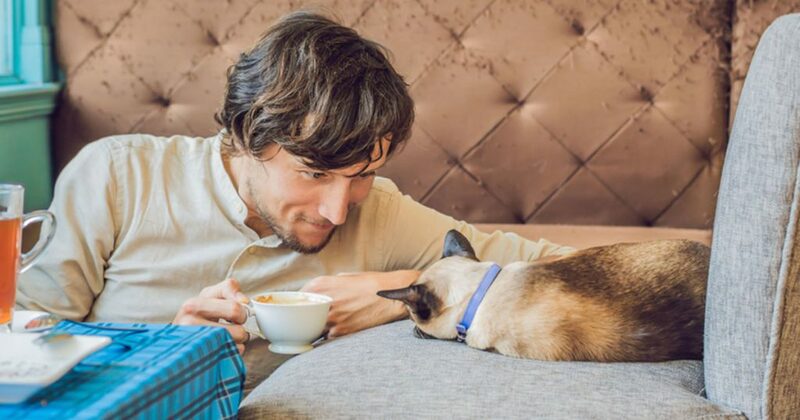 *Are you feline excited about this Saratoga cat cafe? We would be too! Unfortunately, for now, this is only an April Fools’ joke. Show some love for the idea in the comments, and you never know!